If you are looking to buy an MP3 player that looks sleek and offers more features than what the usual MP3 player can offer, you have two top of the line choices: Apple's iPod Touch and Microsoft's Zune HD. Here is a Zune HD vs. iPod Touch comparison to help you choose which MP3 player is right for you. The Zune HD has a slightly smaller body than the iPod Touch. It has a screen size of 3.3 inches as opposed to the iPod Touch's 3.5 inches. There may be a size difference, but it's not enough for some people to notice. The Zune HD has a more ergonomic design than the iPod Touch, which means it is easier to handle and with its smaller size, it can fit much better in your pocket than Apple's product. Then again, there is not much difference, so the two products are, more or less, equal when it comes to design. The screen display of these two devices sets them apart from other MP3 players. Their screen size allows them to play videos in a way that can be comparable to portable TVs. However, with the screen resolution of the Zune HD being 480×272 and the iPod Touch's being 480×320, the Zune HD offers a crisper image on its slightly smaller screen than the iPod Touch does. It also uses OLED technology, as opposed to the LCD screen of the iPod Touch. This means that when it comes to displaying graphics, especially color, the Zune HD is much better at it than its competitor. Playing music is pretty much the heart and soul of both devices, but they also play video. Each device handles video playback nicely, but the Zune HD clearly has the upper hand in this department. Unlike the iPod Touch, it can handle videos with resolutions of up to 1280×720. This capability cannot even be implemented correctly in netbooks, but the Zune HD has no problem delivering crystal clear graphics on its OLED screen. Although both devices almost have similar sets of multimedia playback features, the iPod Touch trumps the Zune HD in extensibility. Currently, there are thousands of applications available in Apple's app store. The applications range from free to paid and from productivity tools to game apps. The Zune HD, being the newer product, has an understandably small set of third party applications available for download. 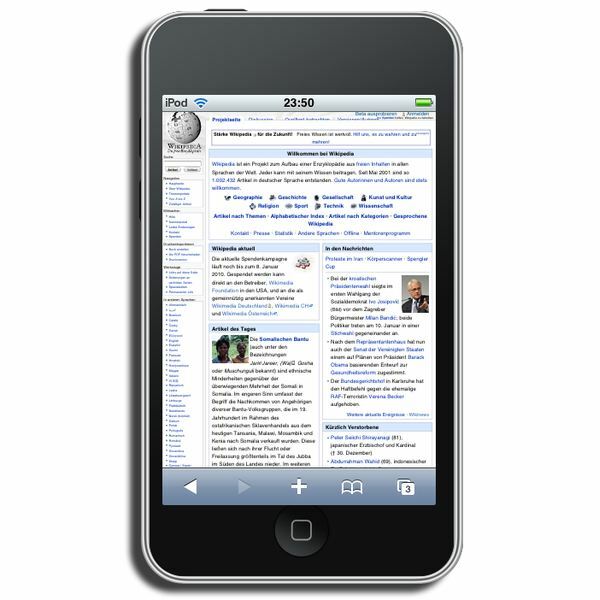 If you want your device to be more than just an MP3 and video player, the iPod Touch is the better product. In this Zune HD vs. iPod Touch comparison, it is clear that the Zune HD is the clear winner as a multimedia playback device. It handles music playback quite nicely, and it is clearly superior in video playback. However, if you want a device that can let you do more than just media playback, like play games or do some work, the iPod Touch is your choice of device. It all comes down to your needs.